This handsome red-haired man was just a little homeless kitten, but he was lucky to meet Annie Lao. She gave him a comfortable home and provided by a pretty good career. Annie works at a shop in Chinatown, New York City, and Bobo has been working with her for 9 years. 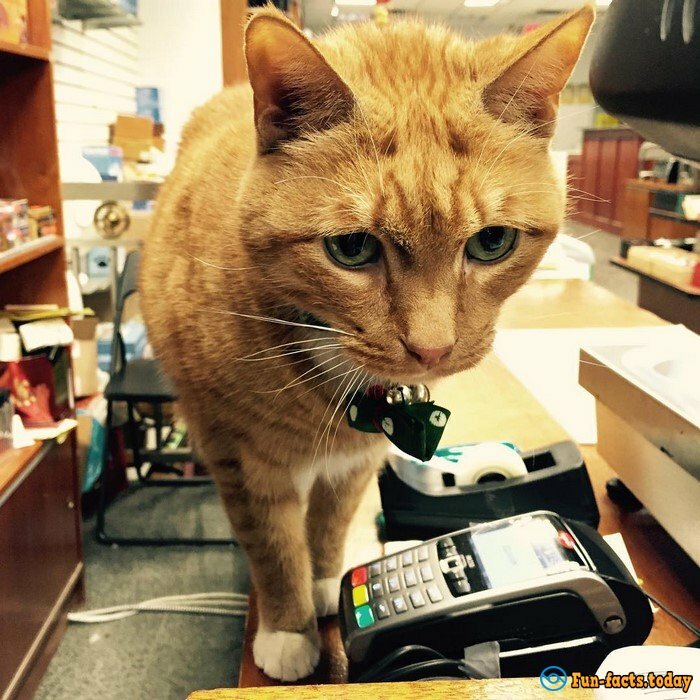 For almost a decade of work experience, Bobo has not taken a single weekend or a holiday. 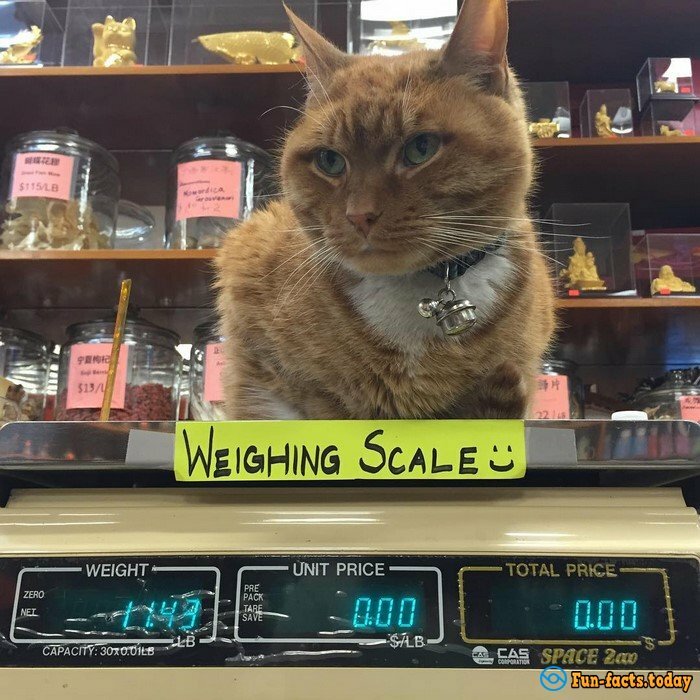 According to its owner, the cat loves his job and the customers. 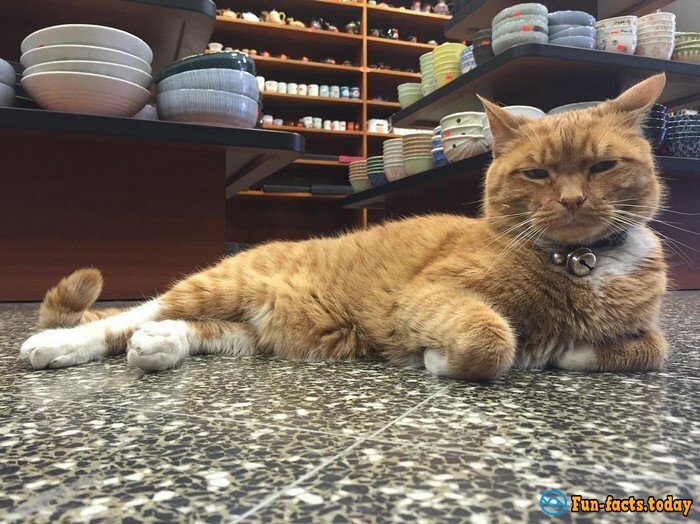 "In the store, he likes to sit near the entrance and to welcome the shoppers. It is also his duty: to sharpen claws in his corner, look out the window and check the situation", proudly announces Annie Lao. 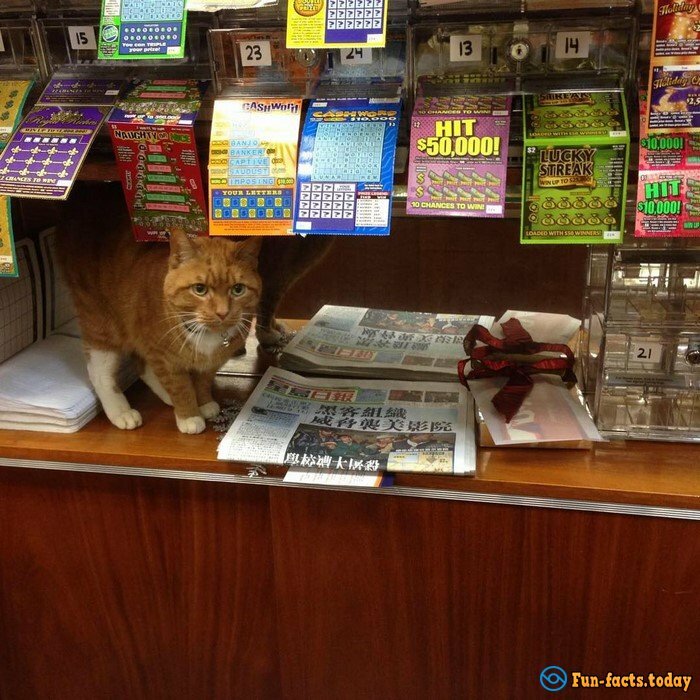 Also, according to the girl, sometimes Bobo acting as a sales assistant even better than she did. 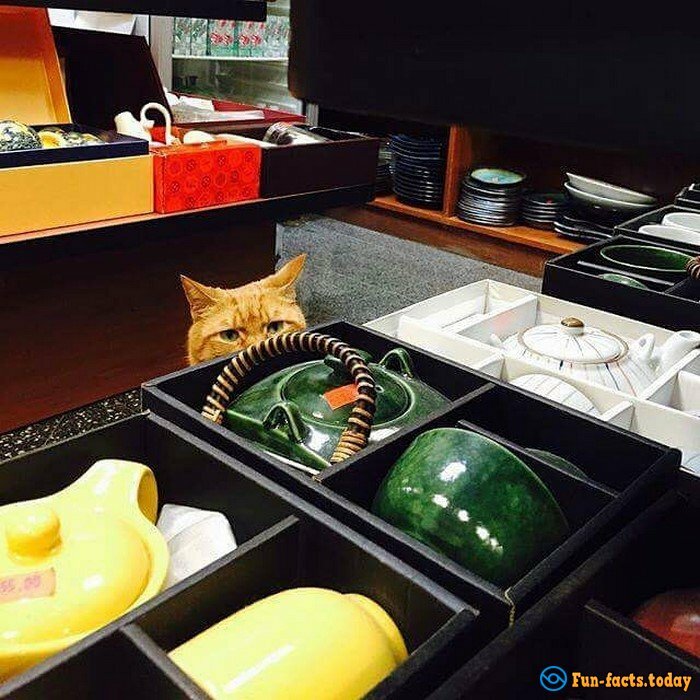 The friendly cat leads shoppers through the store, and actively meowing as if he is describing assortment on the shelves. By the way, today the career of Bobo can be tracked by anyone from any corner of the world, like any self-respecting cat, your hero now has its Instagram account.